For the sauce, heat EVOO in medium pot over medium heat. 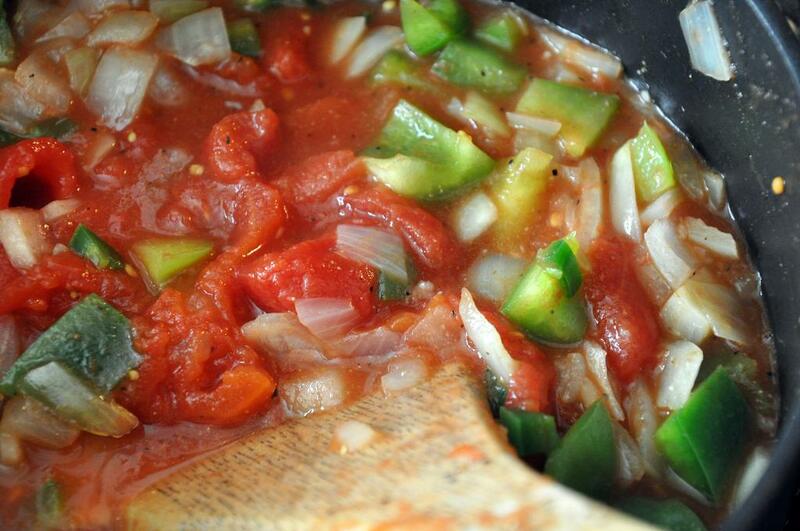 Add garlic, tomatoes with juice/sauce from the can, green pepper, onion, cumin and salt and pepper. Bring to a boil and then turn down heat to low. Let simmer while you prepare the enchiladas. The sauce will be ready when you finish, ie vegetables will be soft and the sauce will be fragrant. 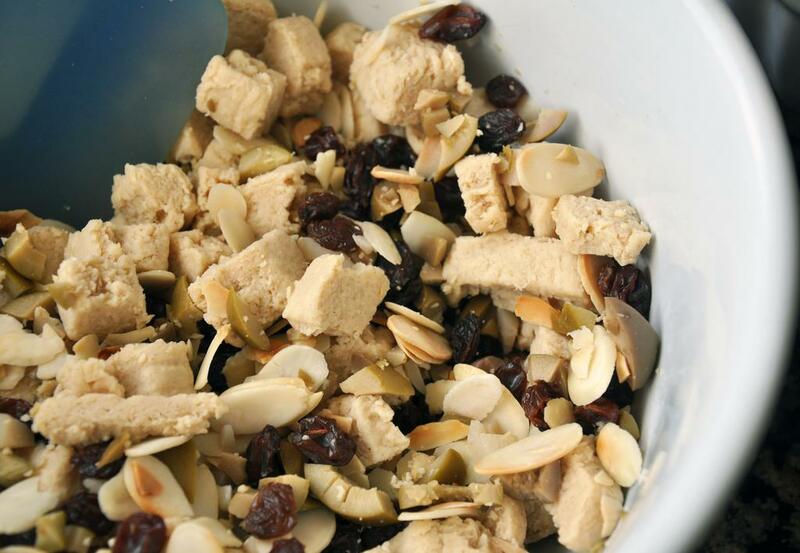 For the filling, toast almonds in a dry skillet until very lightly browned. 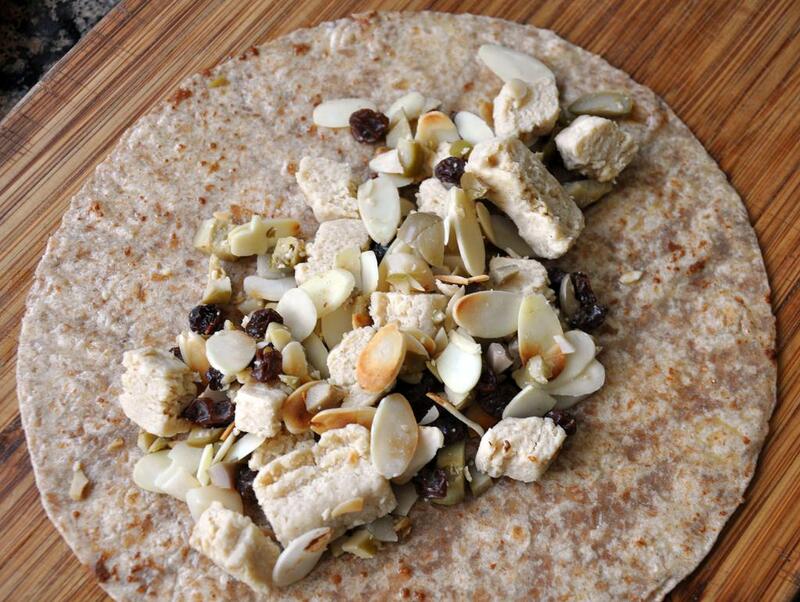 Combine "chicken," raisins, almonds, green olives in a medium bowl and set aside. 3. Beat the eggs with water and cinnamon in a medium, shallow bowl. Set up a prep station with filling, tortillas, egg/cinnamon wash and cutting board as a place to assemble/roll the enchiladas. Heat a large skillet over medium heat and spray with cooking spray. Move through the prep station: take a tortilla, dip it in the egg wash until completely coated and then hold up and let drain. Move the dipped tortilla to the board and line with 1/6 filling. 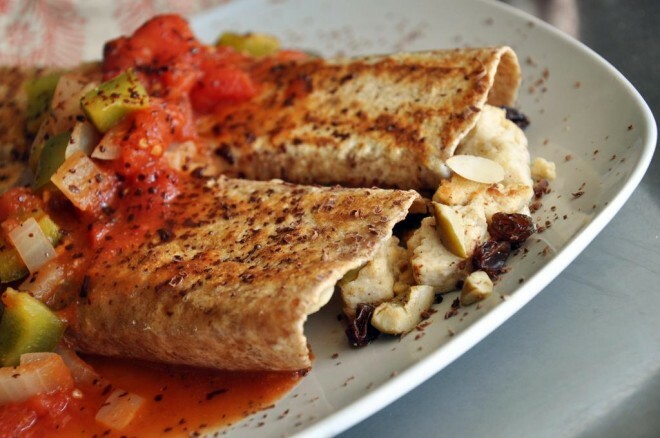 Pull the filling to one end as you roll the enchilada up. This is a bit silly, but works great - take a skewer and pierce the enchilada as you put it on the skillet so it doesn't unfurl. 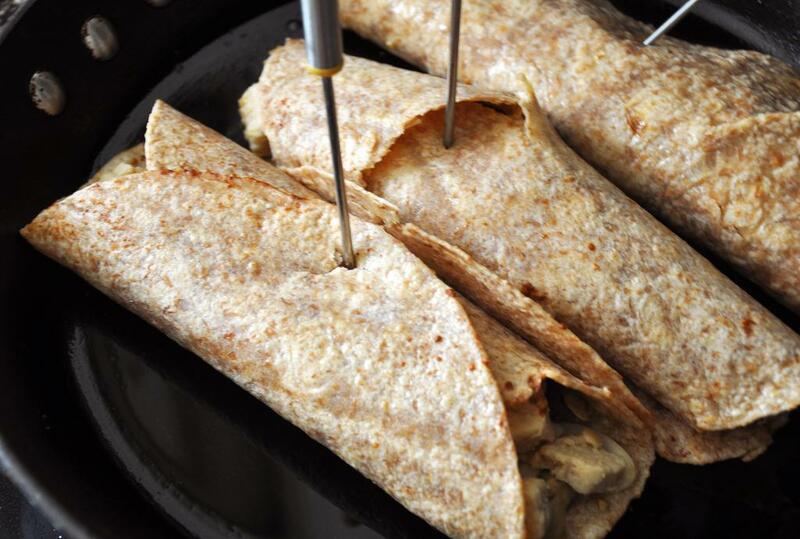 Move to the next tortilla and continue until all six are filled, rolled and toasted on both sides. Not only does the wash add some great, classic Mexican flavors, but as the egg wash cooks it hardens and keeps the enchilada together and the filling inside.